R & R Consignment: 2017 Spring/Summer Sale Dates! 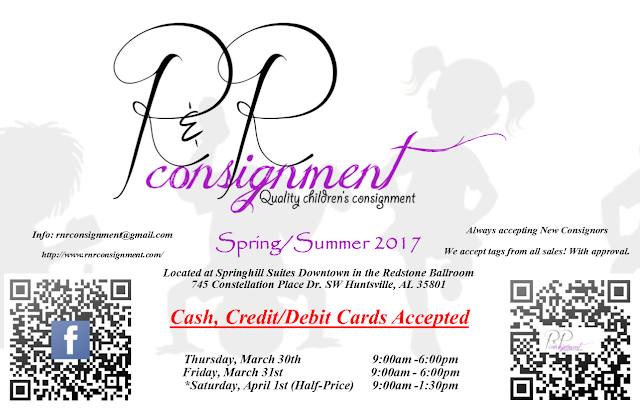 Feel free to email us if you are interested in consigning! Remember we also take all other sales tags! Also Credit and Debit cards will now be accepted! !